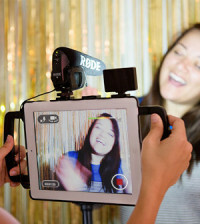 As universities integrate digital media into instruction to stay competitive, faculty is often expected to quickly master and use video technology for lectures, class discussions and more. For some, this additional responsibility can be overwhelming and stressful. If you want to balance your university’s need to provide cutting-edge technology with your desire to ease the transition for instructors, you should aim to provide video tools that make the capture and publishing of lectures as easy and automated as possible. With Ensemble Video, your university will be able to give instructors a break from the common headaches caused by many of today’s technology resources. 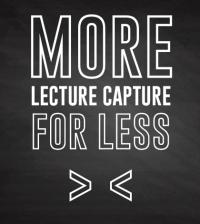 Want to see just how simple it can be to streamline lecture capture? All it takes are these three steps. With our lecture capture solution Ensemble Studio, your university won’t have to set up complex video hardware or invest in expensive equipment. 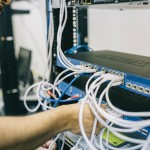 Our team will work directly with your IT staff to install the Matrox Monarch LCS or the Matrox Monarch HD lecture capture hardware in lecture halls and classrooms. The Matrox Monarch devices are small, affordable and easy-to-use recording appliances that can be installed in just about any campus location. Both the LCS and HD models can record lectures, livestream events and immediately publish videos for on-demand viewing at the conclusion of each recording session. In addition, the Matrox Monarch LCS is a unique video recorder equipped with two video inputs, which allows instructors to pair video of themselves with presentation slides or other lecture materials for an enhanced side-by-side or picture-in-picture viewing experience. That’s a major improvement over the typical setup, in which video, audio and a computer source are combined into a single stream. Once you’ve installed the Matrox Monarch LCS or the Matrox Monarch HD, your university will be ready to streamline lecture capture with Ensemble Studio. Before capturing their first lecture, each instructor should choose the destination(s) they want their recordings to publish to, such as a course playlist, LMS playlist or website. Then, instructors can choose to capture lectures on an automated or an ad hoc basis. Those who choose to automate lecture capture can schedule the date, time, location, recurrence and publishing destination of their lecture recordings through your institution’s IT team or on their own with administrative access. 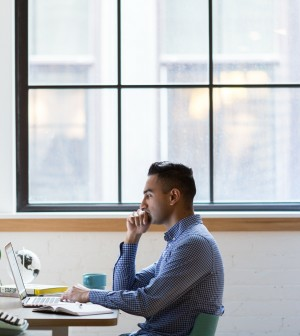 Those who prefer to record on an ad hoc basis simply press record and stop within their Ensemble Studio account, and their video is then securely saved in their library. At the end of each recording (whether it is scheduled or captured ad hoc), lectures and complete livestreams automatically publish to the instructor’s desired destinations for on-demand viewing. Immediately after the class is over, students can begin watching the lecture and reviewing the material on their own schedule, from any device. Following publication, instructors may want to supplement their lecture recordings with other materials to enhance student understanding. Instructors can customize the viewing experience and add additional depth to their lectures by layering clickable annotations over their videos or adding relevant attachments and links. Additionally, if an instructor thinks their lecture is too long or repetitive, he or she can also trim video content to the desired length for optimal viewing time and relevancy. Ensemble Video also offers various captioning options for instructors to make lecture videos accessible to all students and further streamline lecture capture. Instructors can use the automatic captions feature, or use the free closed captioning editor to easily create captions. Once captions are in place, students can use the “search inside video” functionality to search captions and instantly jump to points of interest inside lecture videos. Are you ready to streamline lecture capture at your university? 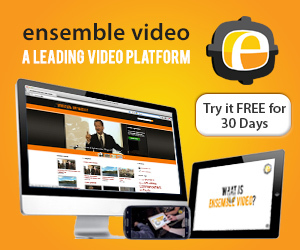 Schedule a demo or request a trial with Ensemble Video today to learn more about how Ensemble could benefit your school.